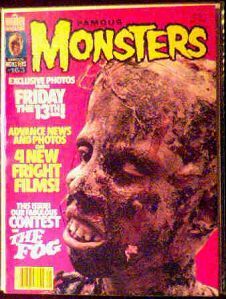 May 1980 issue of FM with feature articles on Friday the 13th and the Fog. Near-mint condition. Tom Savini did the make-up for Friday the 13th and did a bang-up job (literally). Website design and hosting by Sohodojo Business Services. Item 139 of 466 items displayed in viewer. 0 items in cart.